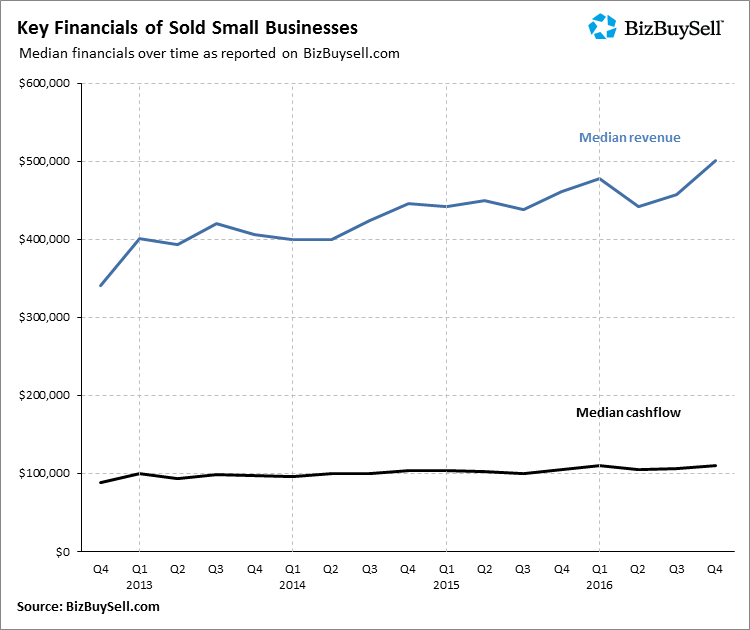 BizBuySell, the largest on-line platform for business sales, has released their fourth quarter and year end 2017 insight report for small business transactions. 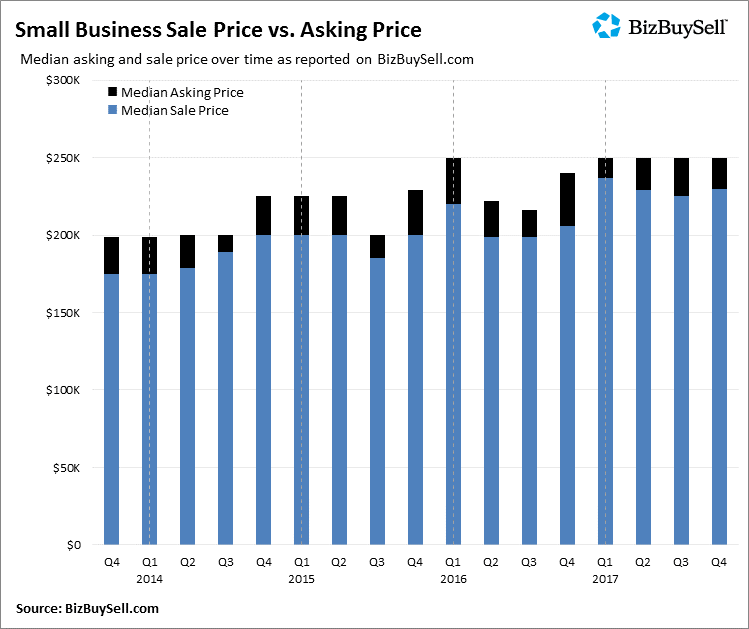 The report details a very active transaction market for buying and selling businesses throughout 2017. 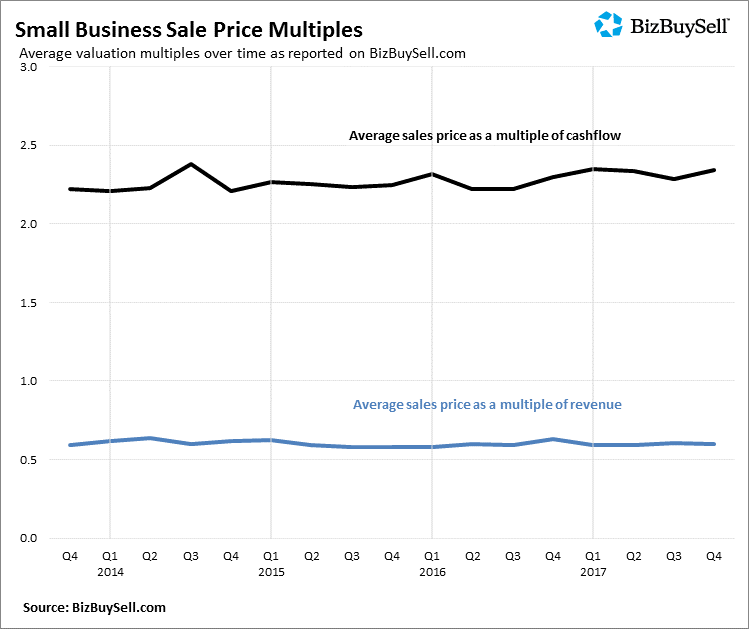 Despite previous record highs set in 2016, this past year’s transactions not only set a new a record high, but significantly increasing from the previous year. 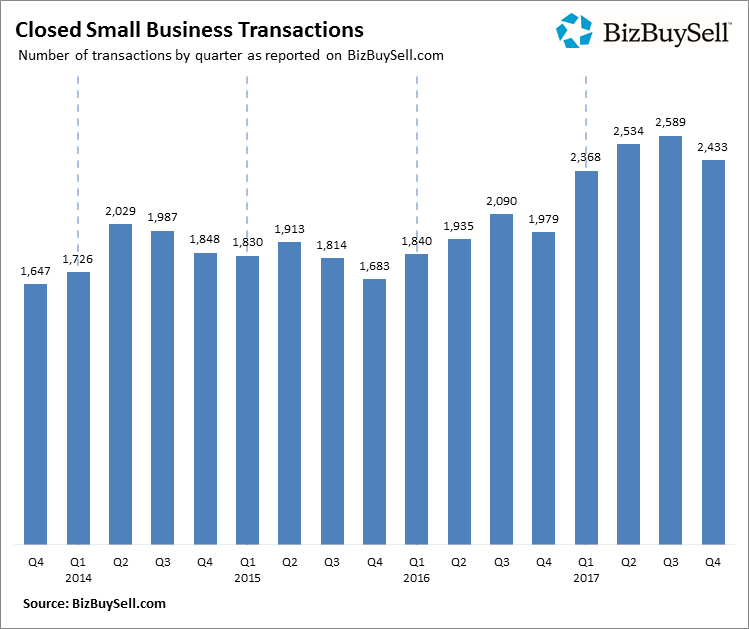 Closed small business transactions jumped from 7,842 in 2016 to 9,919 in 2017. Stronger revenues have led to higher asking prices and demonstrate a strong economy. 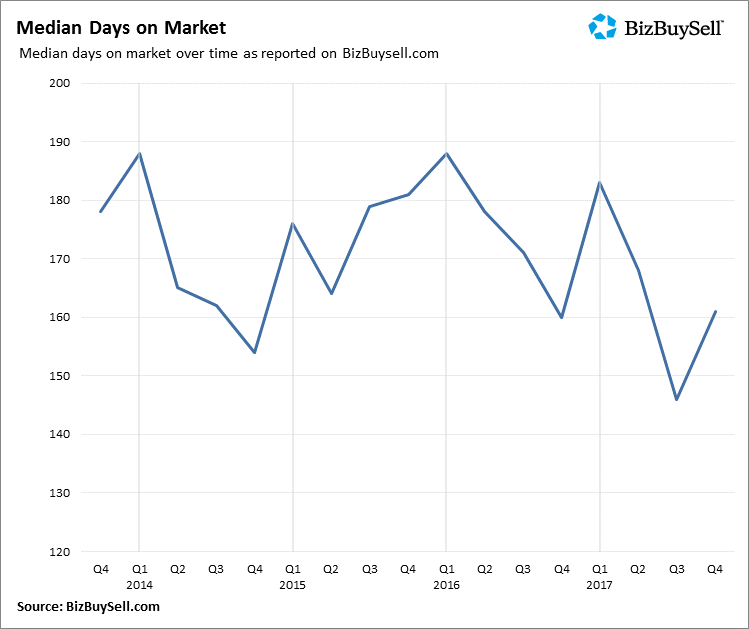 The median asking price rose by 11%, according to BizBuySell.